A few more shots of our time with Thomas and Friends .. not sure of the names of these one's except I see there is one called 'Diesal' so I guess the new diesel engine is that one .. What a lot of fun for the kids .. 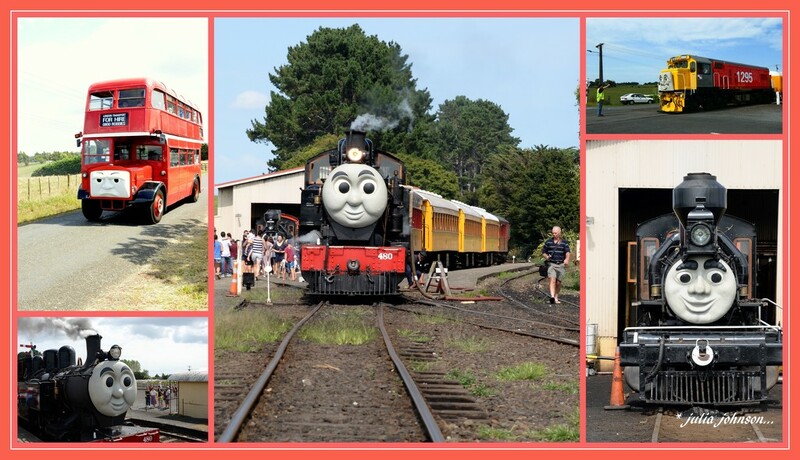 The children must love these engines! No wonder our grandsons wanted to go here when we were in the area some years ago. But it was closed then! @maggiemae They have the Thomas day's about 2-3 times a year and the GVR is closed over the winter months ... always good fun even on a non Thomas day .. Very cool set of images. Fabulous shots in your lovely collage. Very cool collage, great fun shots. Great collage :0 if grandson Alex was here he would name them all in a flash! !